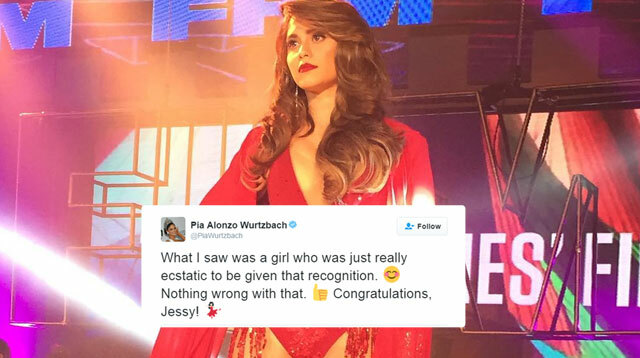 There's No Bad Blood Between Jessy Mendiola And Pia Wurtzbach! Headlines, hot news, and conversation starters on August 1, 2016! 1 If you’ve been following the entire saga of Jessy Mendiola being named the Sexiest Woman in the Country, you’ll know that the actress let slip one controversial comment during an interview. “Talo ko pa si Pia Wurtzbach, 'di ba?” Jessy said. 4 Till I Met You has officially begun filming! The highly anticipated television series will reunite James Reid and Nadine Lustre in their first show since On the Wings of Love—and we’re already so excited for it. Here are shots from the set, featuring Nadine and fellow actors JC Santos and Kim Molina.